Anyone who knows me will tell you that I LOVE BOXES. What’s so special about them? Well, let me tell you everything about boxes … from A to Z. A box is good. Two boxes is better. 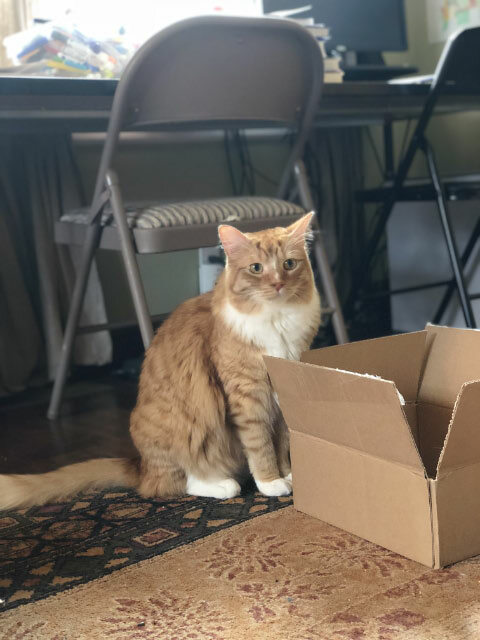 My housemate, Toby, enjoys a boxtravaganza. In case you can’t tell, I’m the handsome one on the left, and Toby is the big galut on the right. 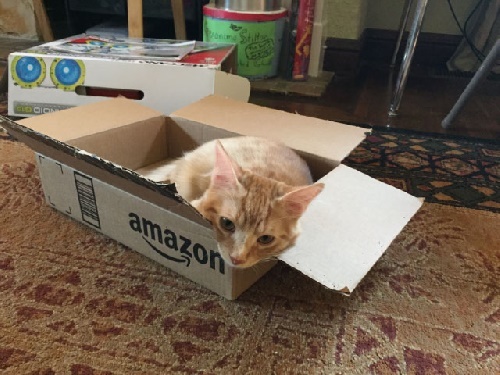 Wherever you find an open box, you are likely to find a Cat inside. 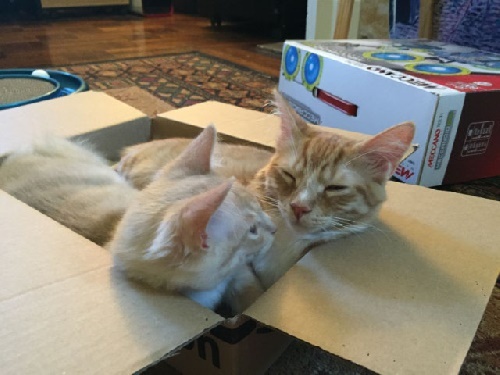 A box is also a great place to rest your Chin. 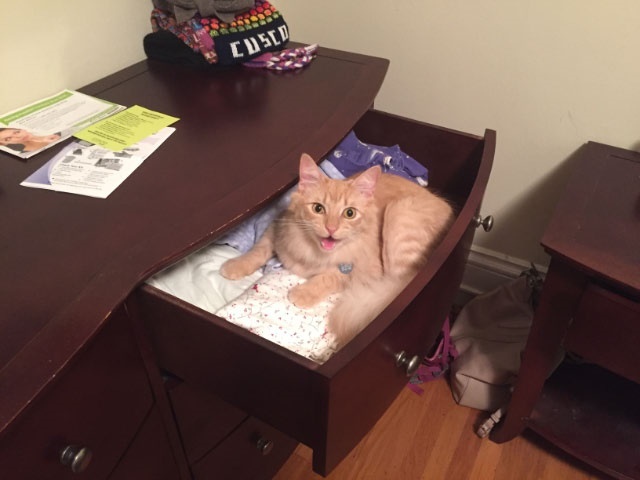 When a box is not available, a Drawer can do in a pinch. 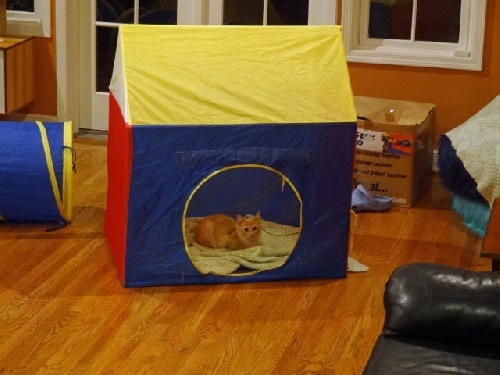 Me at my cat sitter’s house, where sadly I could not find any boxes. 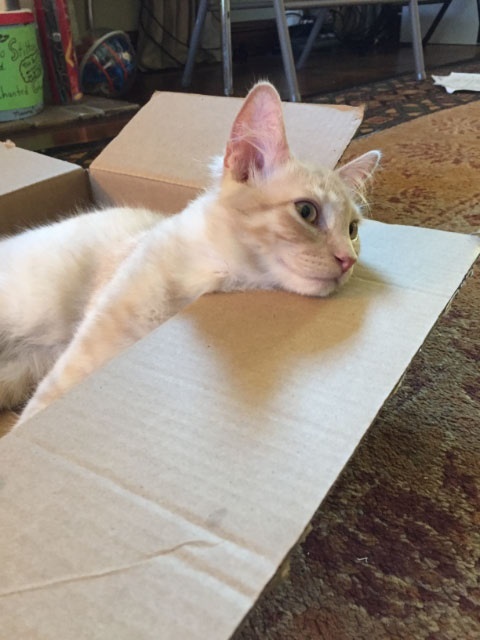 For a cat, an Empty box is an irresistible invitation. 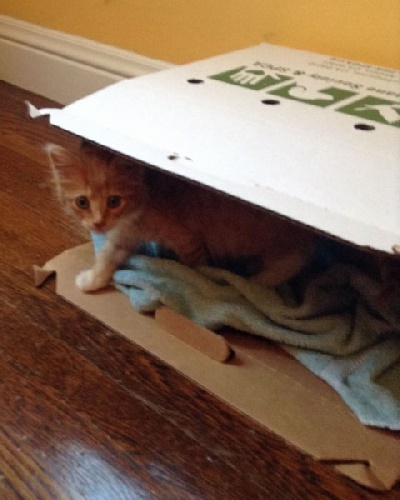 A box is how most kittens travel to their Forever home. 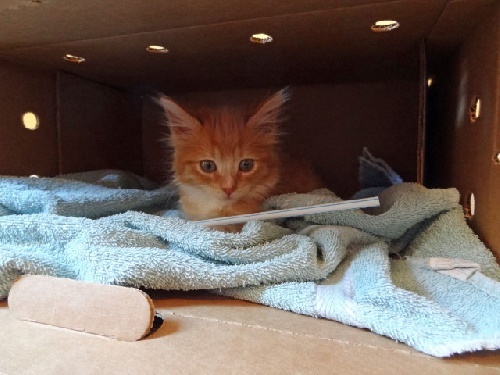 Toby arrives to his forever home in a box from the Peninsula Humane Society. 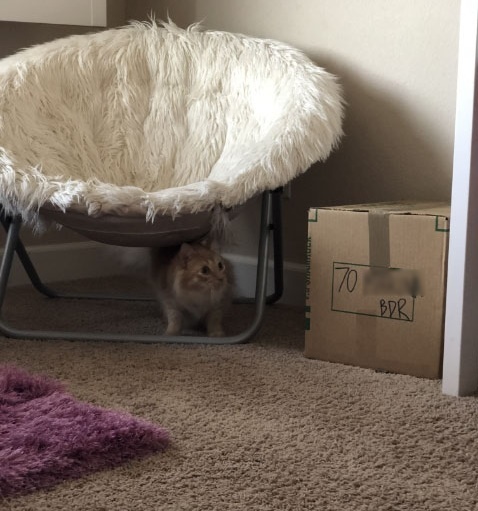 He test drove the house and servants first to make sure they were OK before I arrived. 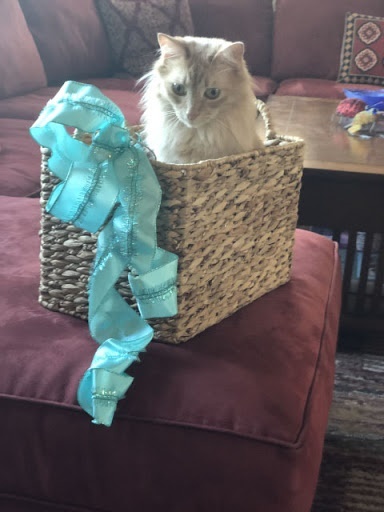 The best kind of Gift basket is an EMPTY one! I was not the original contents of this gift basket, but I am way better than what came inside. On extremely rare occasions, a Human can be preferable to a box. Me with one of my adopted primate servants. Even Inanimate felines like boxes. I love boxes! Did I mention that yet? 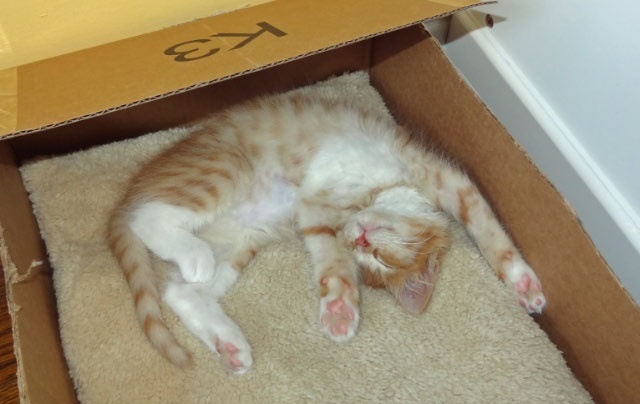 Sleeping is no Joke for a cat in a box. 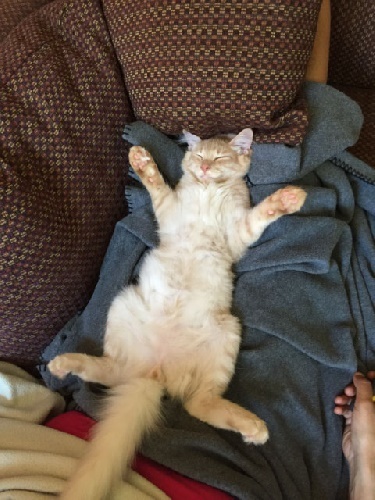 Toby has always been a sound sleeper compared to me (it’s one of the benefits of having a dull mind). 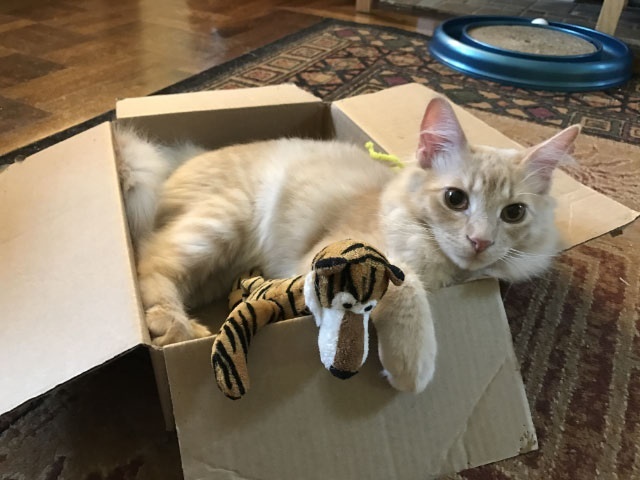 You can buy a cat a bed, but you can’t Keep him out of a box. 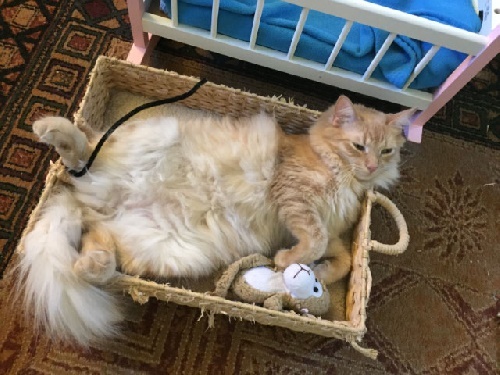 I’d prefer a box over my cat bed anyday (note the empty cat bed in the upper left of this photo). Let’s ponder the age-old question: can Luggage be considered a box? 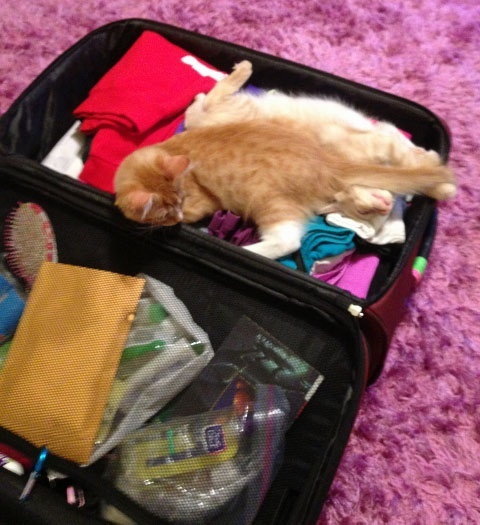 A suitcase is just a special kind of box, if you ask me or Toby. One kind of box that cats don’t like is Moving boxes. It turns out that a “forever” home is not where the house is, but where the heart is. Shhh, don’t tell my primates that I said that. 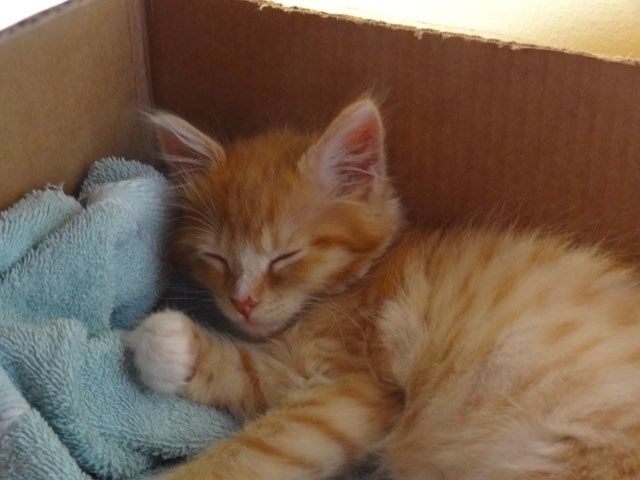 A box is a great place for … Nappies. Sometimes it’s good to think Outside the box. Toby rarely has deep thoughts, so maybe this wasn’t the best photo to choose. Boxes sometimes come with fun Packaging material inside. 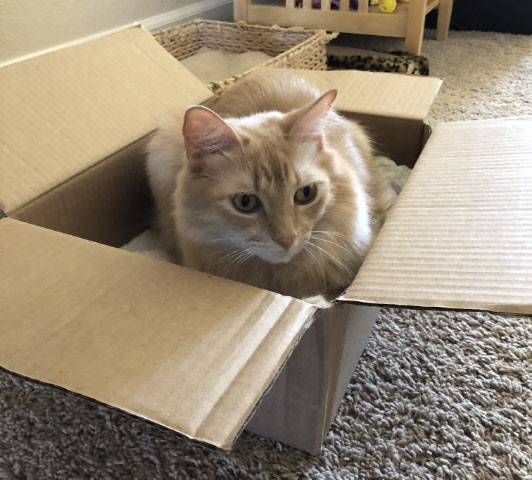 Who needs cat toys when you have shipping boxes? I’ll let you in on a little secret. 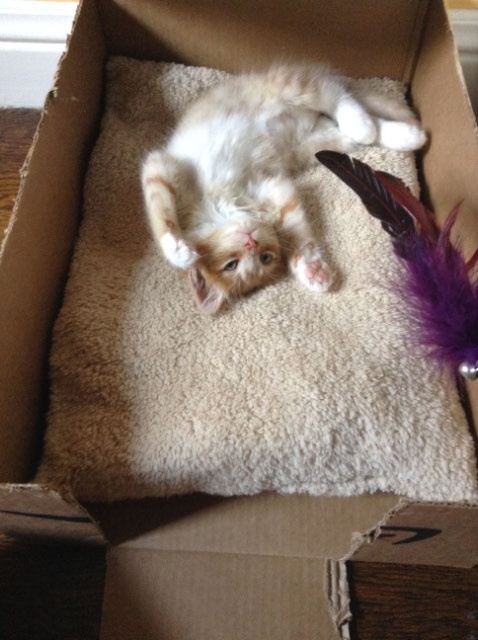 Kitties like cat beds because they reminds us of boxes and are equally well suited for some peace and Quiet. 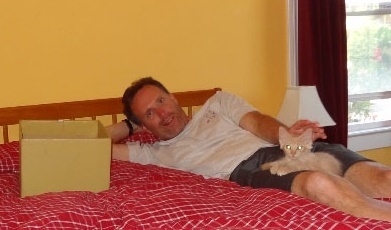 Honestly, I am not a fat cat; it’s just the camera angle. I’ve told my primates a million times to photograph me only from my good side. A tent is not quite a box, but sometimes you have to Rough it. 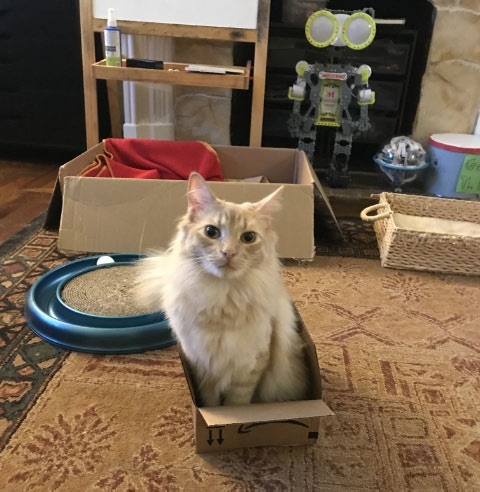 Cats like boxes of all sizes even Small ones. I’m not sure how to get cozy in this box, but I like challenges. 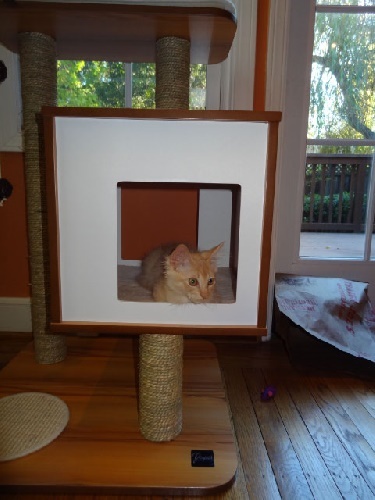 If you want a kitty to use a cat Tree, it better have a built-in box. My cat tree is OK, but I prefer cardboard, to be honest. Being IN a box is sublime, but it’s also great fun to be Under one. 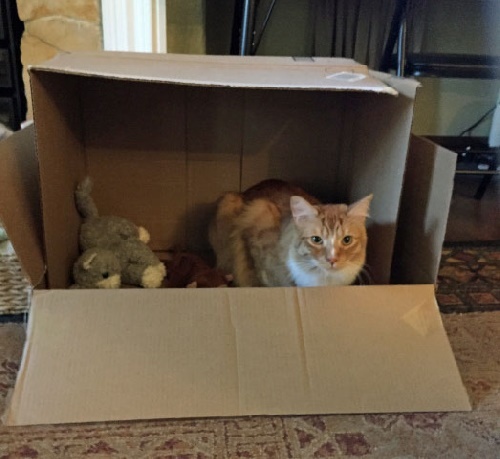 Ever the dum-dum, Toby has not yet figured out whether the box or the house is his forever home. When a box is not available, a backpack will do. I am also quite fond of backpacks as long as they are empty and not riding on a primate’s back. 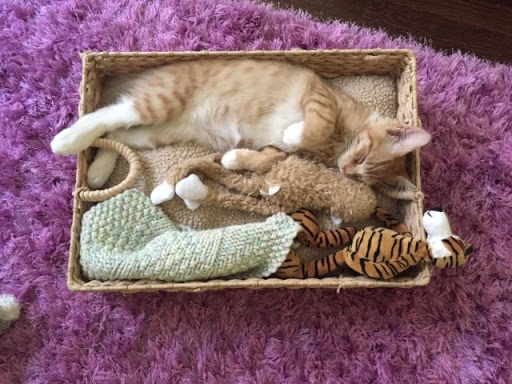 X marks the spot — there is nothing cuter than a kitty in a boX. Toby before he grew up to be an awkward adult. I am not sure what that quote means, but it sounds profound, so I’m gonna go with it. 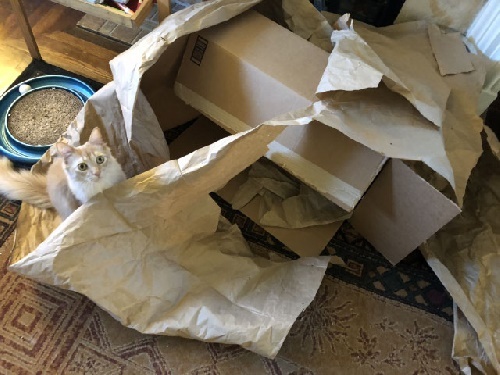 AmaZon is great source of boxes. Toby did not arrive via 2-day shipping. 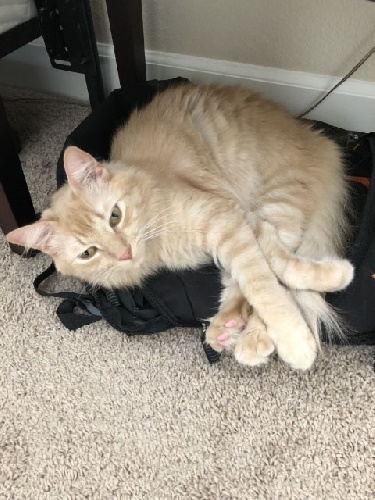 Milo is a two-and-a-half year old indoor only house cat. He lives with his housemate and frenemy, Toby, with whom he shares a staff of four bipedal primates. Milo is a chatty cat who often won’t shut up, so it’s only fitting that he has started blogging. You can find his posts at Emusements. 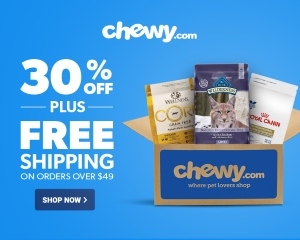 Hi Patty, sorry for the belated reply; I am glad you enjoyed the post! Our cats also LOVE sitting on big piles of freshly cleaned laundry. Maybe Milo will have to write about that someday!